Considered by many, including myself, as one of the true geniuses of radio, Kaye refined the idea of flow as it pertains to the sound of a radio station. Bob Moore, who was managing adult-contemporary KHTZ (now KAMP, 97.1 FM) when Kaye was named to the programming position at new competitor KOST in the 1980s, said that Kaye likened the soft-rock station to a wave, moving up and down gently. He says that Kaye is the reason KHTZ changed to classic rock in 1986 – he just couldn’t compete against Kaye’s programming prowess. Kaye’s stint with KOST-FM (1982 -2005) before moving to K-Earth and, later, The Wave also gave him the record for longest-running programmer at a single LA station. So who will be stepping into this formidable figure’s KRTH and KTWV-FM shoes next month? 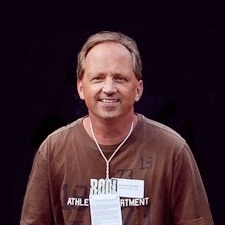 Hawaii radio personality Rick Thomas (pictured). Erika Engle of the Honolulu Star Advertiser frames the move as a local hitting the big time. Given that Thomas is jumping from the nation’s 64th radio market to its second largest, that’s a fair assessment. Congrats to Thomas, who starts June 17.